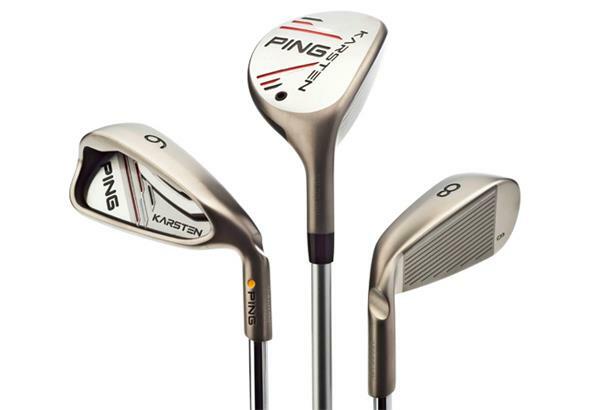 This Ping combo set is built on the idea of improving the distance gapping for average players. Ping claims the Karsten irons are 8.5 per cent more forgiving than the ultra-forgiving G25s thanks to the larger head size and perimeter weighting, making them a perfect option for beginners and those with low swing speeds. The irons feature progressive length and lofts for seamless gapping. The lofts have been made stronger to counteract the low centre of gravity placement and subsequent high launch. You can have up to three hybrids with the set (3-5), but they won’t be available to buy individually; you have to buy a minimum of five irons to gain access to the hybrids. The hybrids have a deeper profile and are progressively designed to blend in perfectly with the irons. The cavity-backed 17-4 cast stainless steel irons feature wider soles to improve launch angle and forgiveness, while slightly longer and lighter shafts boost clubhead speed. Like other Ping designs, the Karsten features a polymer Custom Tuning Port (CTP) which helps reinforce the thin face that provides faster ball speeds. Prices: £86 per club (s), £102 (g).